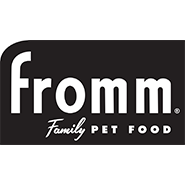 Fromm Family Foods is a fifth-generation family-owned and operated artisan pet food company based in Wisconsin. Since 1904, our family has maintained a tradition of quiet innovation dedicated to the health and nutrition of animals. In the 1930s, we developed the first canine distemper vaccine. By 1949, we had introduced the concept of premium pet food to the world by pioneering the process of cooking meat and grain together to create the dry kibble food that is so popular today. COPYRIGHT PAWSITIVELY PURRFECT. ALL RIGHTS RESERVED. SITE BY ADSPARK COMMUNICATIONS.